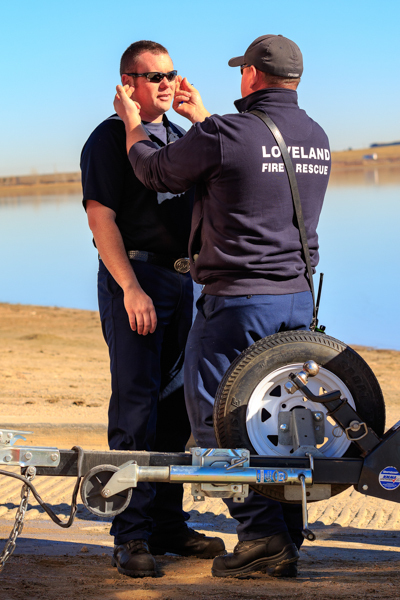 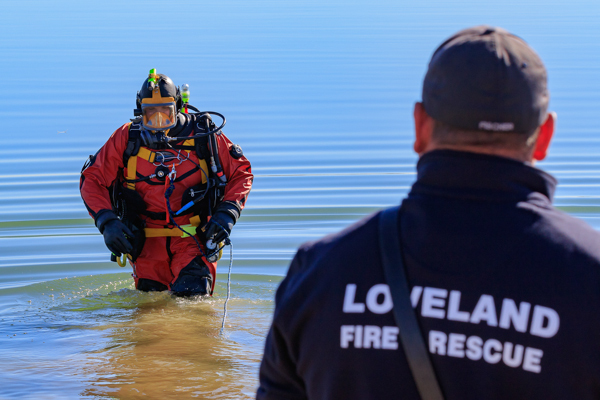 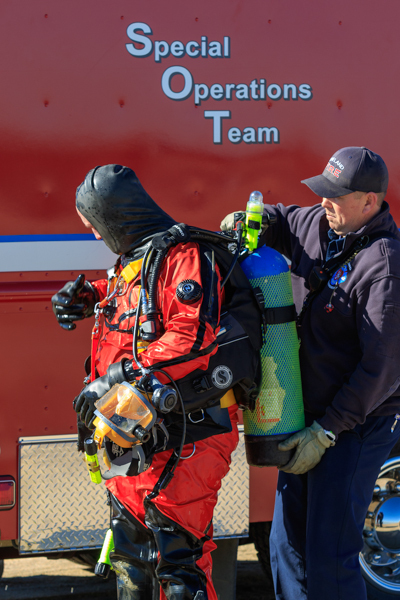 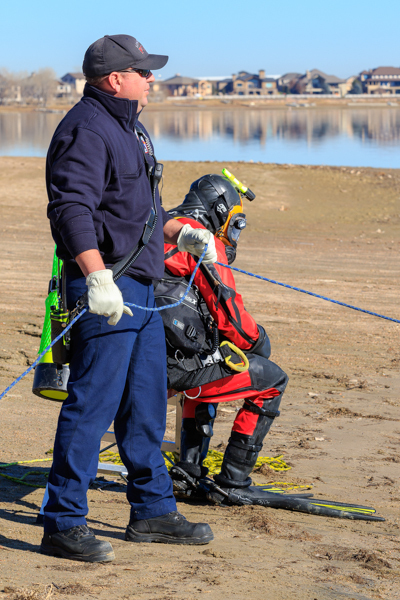 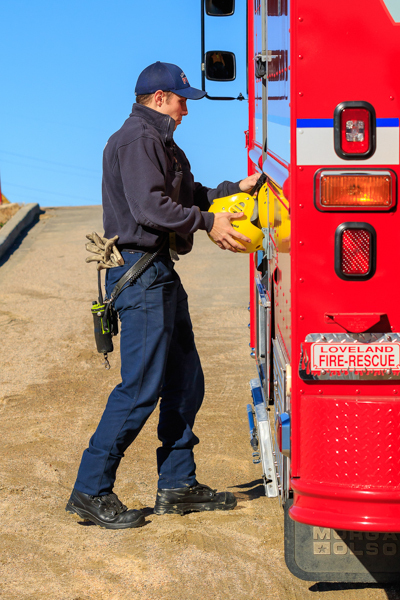 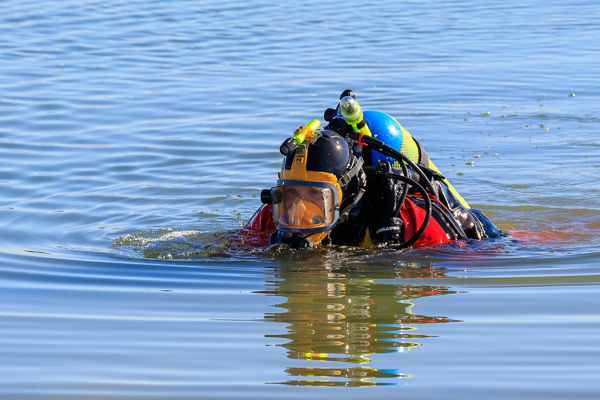 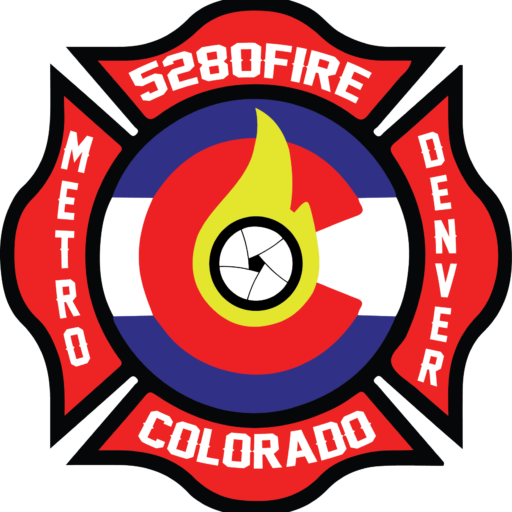 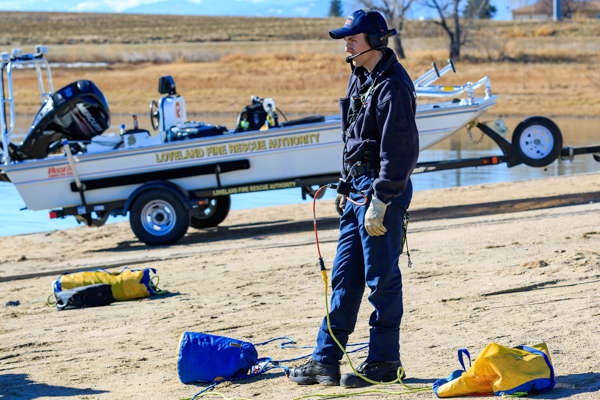 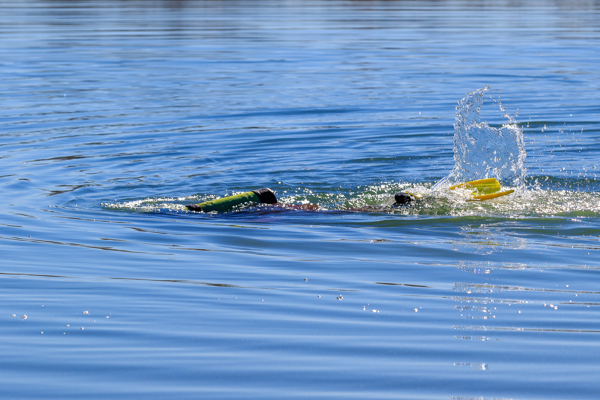 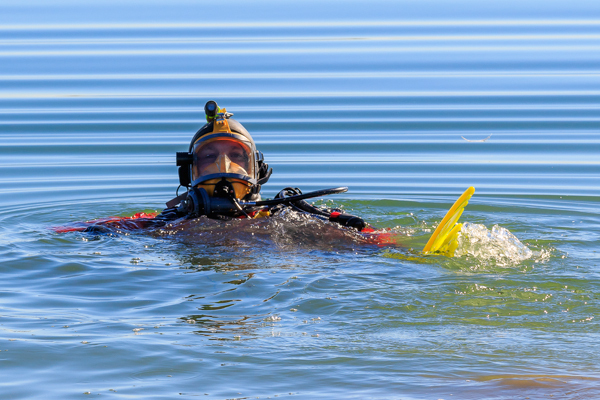 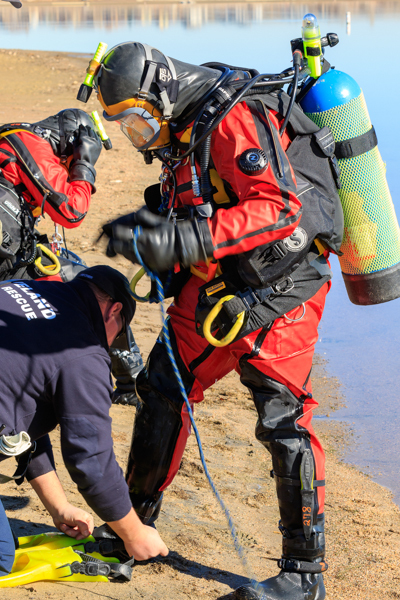 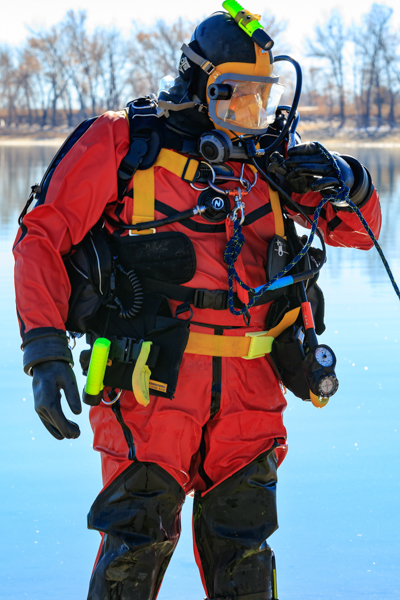 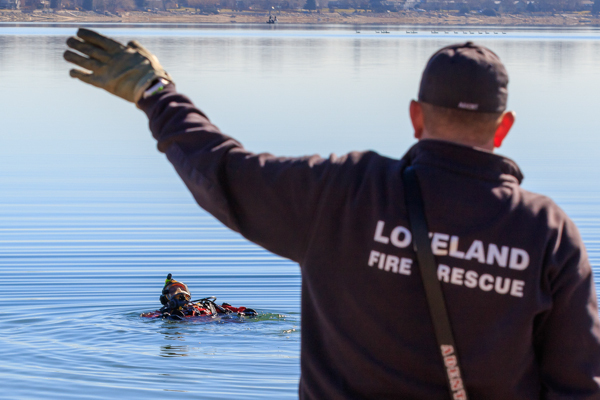 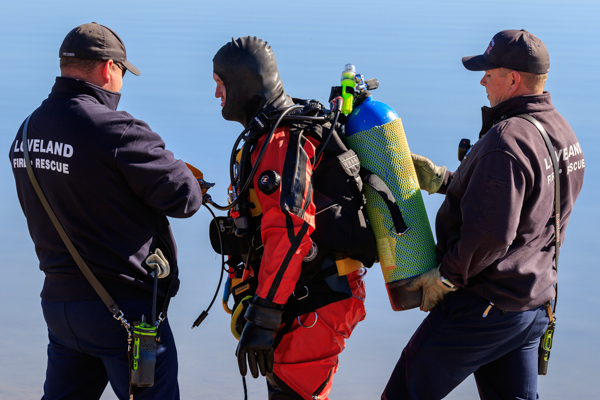 On November 20th, 2018 members of the Loveland Fire Rescue Authority Dive Team took to the water at Boyd Lake State Park in Loveland for dive training. 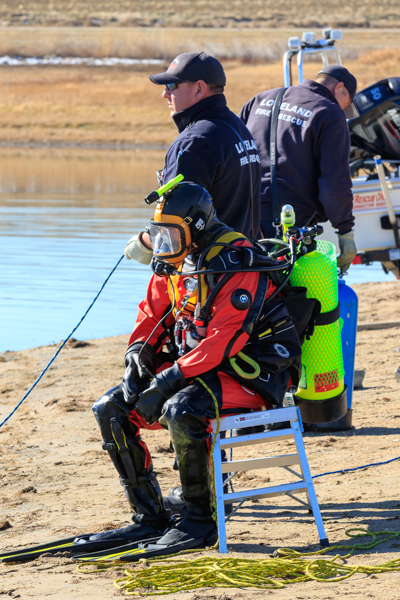 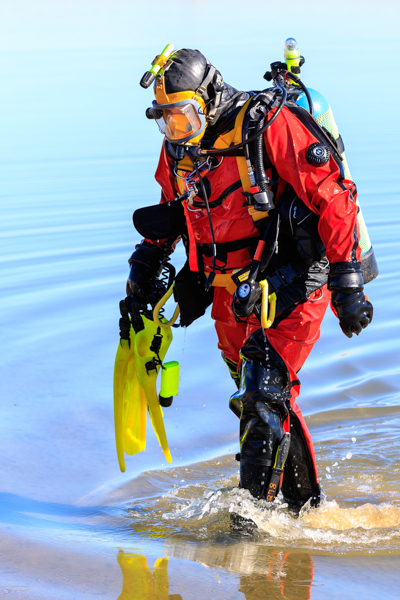 Members dive several times a year to maintain certifications and to hone skills. 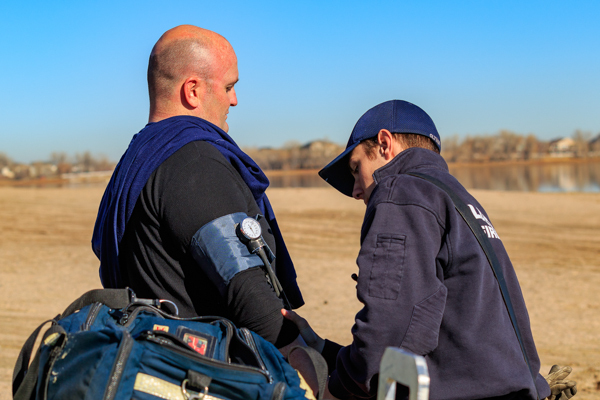 To ensure the health and safety of the team, pre and post-dive medical evaluations are performed on each diver. 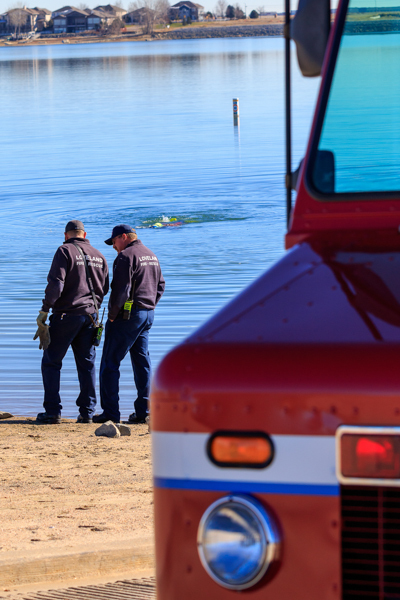 The “victim” for this days training was a painted rock a little larger than a softball and was successfully located and “rescued”.